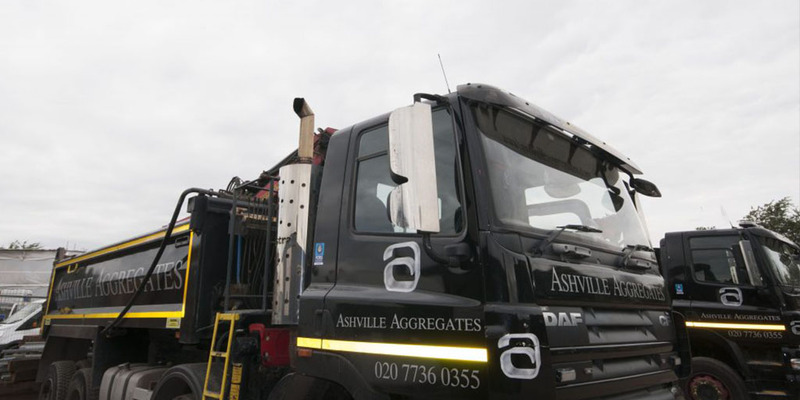 Ashville Aggregates provide grab hire Hammersmith, West London, NW London and surrounding M25 Areas with our fleet of 8-wheel, 32 tonne grab load lorries. Grab lorries can carry roughly 15 tonnes and can reach 6 meters. Grab Hire is ideal for site excavations, site clearance, garden clearance, and waste disposal and is by far the most cost effective solution. Health and Safety is taken very seriously here at Ashville and make sure all staff receive practical and academic training. We make sure to audit our own site and ensure that third parties are welcome to do the same to back up our own tests. As registered carriers of waste with the Environmental Agency, we collect waste materials and dispose of them in compliance with current regulation at fully licensed recycling centres. Our Grab Hire operators are fully licensed, trained, experienced and insured. Reliability and responsiveness is vitally important to us here at Ashville no matter how small or large the project you’re undergoing is. We remain in continual contact with all of our clients throughout the process of your order from the moment you make the initial communication to the point you receive your service. To show our dedication to continued improvement, we applied and secured FORS Gold Standard (upgrading from Silver) in 2016. We are very proud of this and continue to strive for improvement in all areas. We take health and safety incredibly seriously here at Ashville and we ensure all of our staff undertakes regular safety training both academically as well as practical training. We regularly audit our sites ourselves as well and alongside help from third parties. For more information or to book a Grab Hire Hammersmith service, please call us on 020 7736 0355. Visit our dedicated page here.